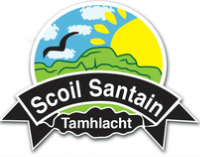 Seo suirbhe don phlean DEIS Béarla 2016-2019.Táimid á dhéanamh an suirbhe seo chun plean DEIS scoile a chur le chéile. Tabharfaidh do/bhur inchur ar seo treoir dúínn maidir leis an bplean. This is a survey for the DEIS English plan 2016-2019. It would be a great help if you can partake. By completing this survey you will be making a huge contribution to the schools literacy plan for the next three years. Your role in your childs /children education is crucial and your input and feed back will help clarify our direction. Click the link below to access the survey all answer and information is anonymous and is protected under the data protection act.